Today I would like to honor another remarkable woman who has been a big part of my life for the past 40 years. As regular TSM readers know, I have always loved the Mary Tyler Moore Show. Part of me wanted to be Mary, but I’ve always had a lot of Rhoda in me. I actually put this in my essay when I applied to the school of social work. Her bold, outspoken nature and very human insecurities made her a wonderful character, and no-one could have brought her to life other than the incomparable Valerie Harper. She was born in Suffern, NJ in 1939; her family moved frequently for her father’s work (including a couple of years here in Ashland, Oregon). When they left NJ, she moved to New York to pursue her dream of dancing. She obtained her degree and began chorus work, rising to lead roles and eventually moving into television after a bit part in the film version of a Broadway show she had appeared in. The casting agent for MTM saw her and knew that she had found her Rhoda. Nine years later, Harper had four Emmy awards, one Golden Globe, and seven nominations for her groundbreaking role. More significantly, she had shown another kind of independent woman. Unlike Mary’s clear career path, Rhoda was always more of a free spirit. She had her own life and lived it proudly. She also went through one of the first prime time divorces, showing the difficulties of relationships in an honest way while retaining her quirky charm and joy. Harper also notes proudly that she was one of the first actors to use the word “gay” on prime time network television, on one of my favorite episodes of MTM, My Brother’s Keeper–a must see episode! While acting on stage and television, she was also a strong advocate for the Equal Rights Amendment and women’s rights. She was as outspoken as her famous television persona and helped put a familiar face on these important issues. She also co-founded L.I.F.E. with Dennis Weaver, an LA organization that provided meals for the underserved and marginalized. In recognition for her work, the Women’s Film Institute awarded her their Humanitarian award in 1987. Sadly, Valerie Harper is back in the news for tragic reasons. A lung cancer survivor, she recently discovered that the cancer has returned in a rare and nearly untreatable form of brain cancer. Rather than retreat, she is using her personal struggle to encourage others. In print and television interviews, she stresses how lucky she has been and encourages everyone to live their lives to the fullest while they can. Don’t go to the funeral until the day of the funeral! She also notes how lucky she is to have great health care through her union. Never shy, she reminds everyone that universal health care should be a right and expectation and that unions work hard to create a level playing field for all workers. 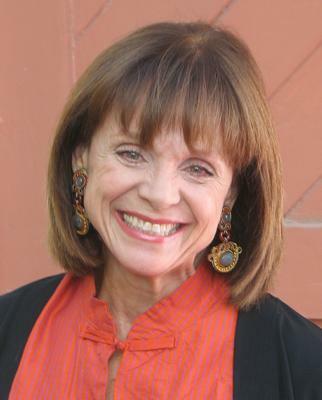 Yes, it is obvious I love our Valerie Harper. I am confident that she will prevail. I thank you for your great work and thank you for allowing me to celebrate you during Women’s History Month! Claudia Wilken, U.S. District Judge for Northern California, struck another blow against the Defense of Marriage Act (DOMA) on May 23. The case centered on benefits offered by CalPERS, the California Public Employees’ Retirement System. The system has refused to let gay spouses enroll in its federally approved insurance program on the grounds that they were excluded by DOMA. This practice is common in most states. 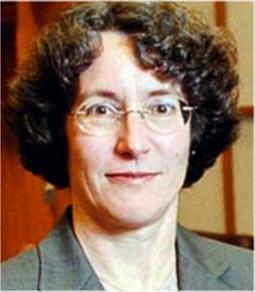 Judge Wilken ruled that the relevant provisions of DOMA violated the U.S. Constitution’s guarantee of equal treatment, writing that there was no proof the DOMA provision was “rationally related to a legitimate government interest.” She also struck down a U.S. Internal Revenue Service law to the extent that it bars domestic partners from enrolling in the long-term care insurance plan offered by CalPERS. She ordered CalPERS to begin allowing gay and lesbian spouses and partners to enroll in the plan.The full order (PDF) is available here. This is the second ruling against DOMA’s constitutionality in recent months. U.S. District Judge Jeffrey White of San Francisco issued a similar ruling in February in a lawsuit filed by Karen Golinski, a federal appeals court staff attorney who wants to enroll her wife in the court’s employee health plan. An appeal of White’s decision by a Republican-led Congressional group is slated to be heard by the 9th U.S. Circuit Court of Appeals in San Francisco in September. The group, known as the Bipartisan Legal Advisory Group, is made up of the five top leaders of the House of Representatives. It stepped into both the cases before White and Wilken after the Obama Administration said last year it will no longer defend DOMA. Reflecting current House composition, the group has three Republicans and two Democrats. Both decisions to intercede were made by a three-two partisan vote. Judge Wilken indicated that she will suspend her order if the Group refers her decision to the 9th Circuit as they are likely to do. DOMA is at risk on several fronts. Besides the two California cases and the Obama decision not to defend, there are two bills in Congress to repeal the law. This Respect for Marriage Act has good support in the Democrat-controlled Senate but no traction in the Republican-led House. Another ruling against DOMA in Massachusetts is currently before a federal appeals court. The recent attention on marriage equality has actually increased approval in polls. Strong statements from the NAACP and black leaders dramatically increased approval in the African American community. Even Republican strategists have begun admitting that some of the rationale for DOMA is deeply flawed. Even if Congress can’t agree to act, the days of this discriminatory law may be numbered. The Affordable Care Act was passed by Congress and signed by the President; Barack Obama didn’t just write it on a napkin. I grow ever weary of hearing so-called journalists referring to this landmark legislation as “Obamacare.” I am hard-pressed to believe there is not a trace of racism there. 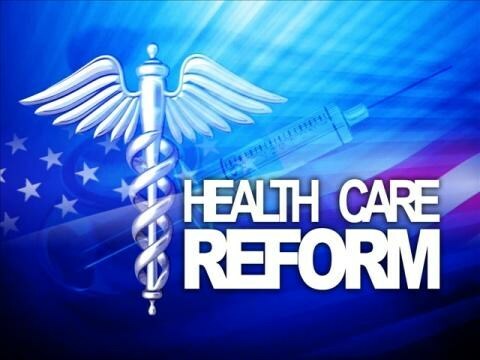 Even here in enlightened Portland, Channel 2 and Channel 8 have repeatedly referred to the Affordable Care Act as “Obamacare.” Yes, how dare President Obama want all Americans to have health insurance? Contrast this to the supporters of the GOP candidates during the debates: they cheered for death rather than caring for all Americans. First, let us take a real look at what the Affordable Healthcare Act does. This law aims to improve our current health care system by increasing access to health coverage for all Americans and introducing new protections for people who have health insurance. Furthermore, the Act is not linked to employment, thus some small businesses with fewer than 25 employees can get help paying for the cost of providing health insurance; insurance companies can’t deny health coverage to kids with pre-existing conditions; insurance companies can’t place dollar limits on the health care they cover in your lifetime. These are just a few of the benefits of the Affordable Care Act which is designed to help those who have barriers to accessing healthcare. Obviously, I have a few choice words for the Supreme Court Justices who are part of the 1% and seem poised to abolish the Act under the guise of its constitutionality. Let us not forget that their job is to interpret the constitution, not set an agenda for a white heterosexual Christian male discourse. What happened to the social contract? Is Elizabeth Warren the only politician who knows about the social contract? Remember that the Affordable Care Act that garnered support from the full congress is not dissimilar to the healthcare reform proposed by Mr. Millionaire Flip Flop, Mitt Romney. Health insurance has really hit my family hard recently, as it has hit many people in the United States. Out of the top six industrialized nations, the U.S. falls dead last in health coverage for its citizens as well as quality of healthcare. However, we rank first in the cost of this worst healthcare. Insurance became quite scary for my family when my husband lost his job and we are now without any source of income. Unfortunately, I started to become ill back in November of 2011. I am stubborn and also worried about how to pay for doctor’s appointments and for any prescriptions. Sadly, two weeks ago, I cracked a rib during a coughing spasm, so my husband forced me to see our primary care physician. We have a wonderfully kind and caring doctor and he and my husband pressured me to have a CT-Scan immediately. I was rushed to St. Vincent’s hospital here in Portland where the CT-Scan showed that I had several pulmonary embolisms on both my lungs. They admitted me to the hospital immediately and started me on blood thinners. I was unaware how serious blood clots on your lungs can be, but it was impressed upon me by many people at the hospital how many people die from pulmonary embolisms. Needless to say, both my husband and I were quite scared. 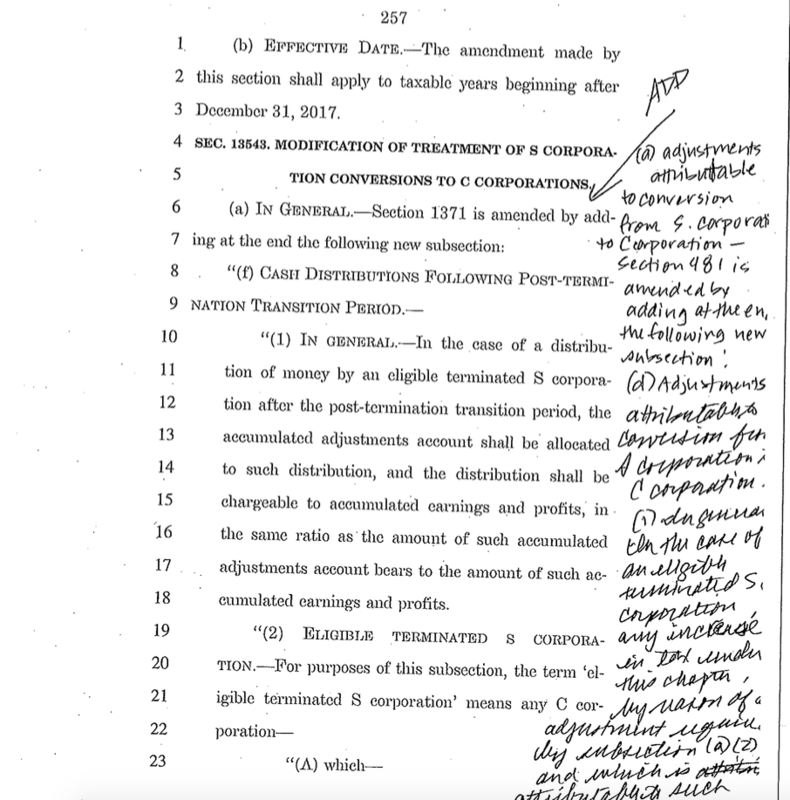 What circled in the back of my mind was also how are we going to pay for all of this? Surely, I am not the only one in the United States who is terrified of being sick and how to afford treatment. I am back home now and my poor husband has to give me injections in my stomach of Lovenox, a blood thinner…not a trip to chuckle town. What sticks in my craw is that the 1% of Americans, many of whom hold positions in our government, never have to think about retirement accounts or how to afford healthcare, but where does that leave the rest of us? I strongly recommend the PBS special Sick Around the World just to see how horrible and unfair our health system is here in the United States. Fair care should be common sense. It shouldn’t take an experience like mine to demonstrate how badly our system needs to be fixed. The Affordable Care Act is just the reasonable first step on that path.